Wendy is very approachable and welcomes you try standing poses, twists, forward bends, backbends and restorative classes in the Iyengar style. Wendy first began her yoga journey doing Hatha Yoga in a community education setting in 1998. Very soon after this, she began a regular practice of Iyengar yoga under the instruction of qualified teachers. 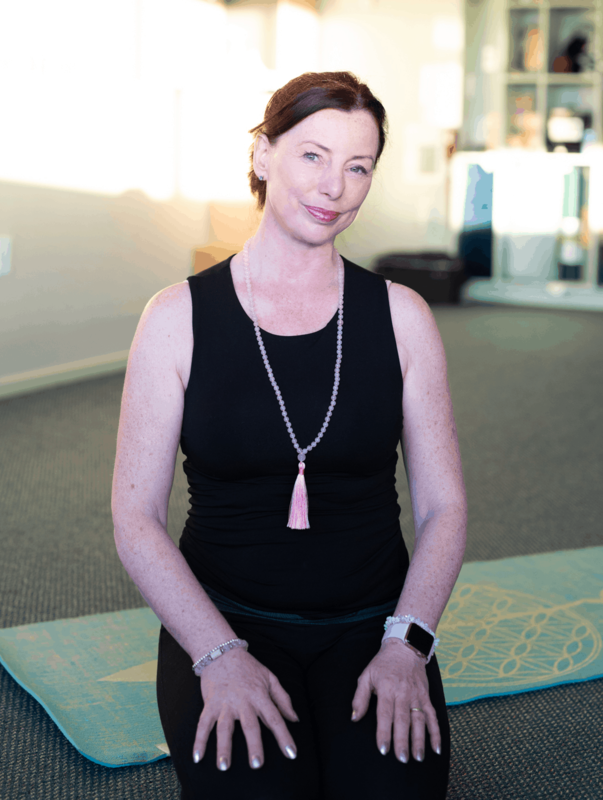 Wendy practised Iyengar yoga up to the 38th week of both her pregnancies and during this time began to understand how the use of props can make yoga inclusive to all people. Iyengar yoga focuses on the correct alignment of the body in an attempt to even the balance between the left and right sides of the body. The correct alignment is important for the prevention of injury and for balance in the body. The use of props such as straps, chairs, bolsters, blankets and blocks, help all individuals access a pose regardless of their body type and, even if they are stiff or have injuries. Props are used to help people to stay in a pose for longer and to attain better alignment. Wendy has trained to teach Iyengar Yoga under the guidance and assessment of senior Iyengar yoga teachers. She regularly attends workshops headed by leading yogis such as Peter Scott, Melodie Batchelor, John Leebold and Simon Marrocco.